ThinkJS is a prospective Node.js framework integrated with lots of well encapsulated engineering patterns, it make enterprise development easy and effective. Start from 3.0, framework core is based on Koa 2.x and compatible with all Koa features. 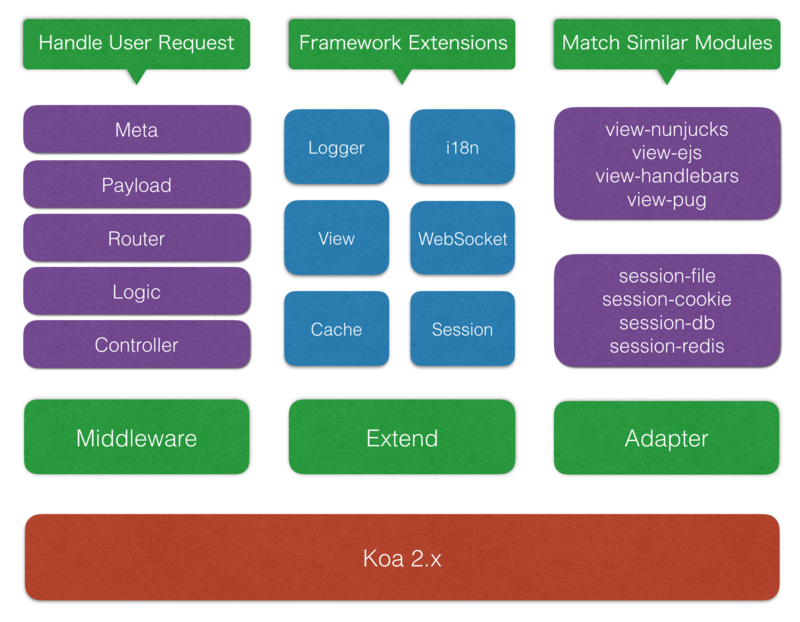 Based on Koa 2.x and fully support middleware. Minimum core to start with，support plugin by using Extend and Adapter. Excellent performance with high unit test coverage rate. Built-in auto-compile and auto-refresh mechanism that speed up your development. Use the more elegent async/await to handle async problem, */yield is no longer supported. Support TypeScript (version 3.2 or higher).